Because we are always trying to improve our work we employ Gateshead School Improvement Service to quality assure all aspects of our school. They carry out termly reviews with the Head teacher, staff and Governing Body and support our improvement programme. Are you interested in sharing your views about our school with OFSTED? 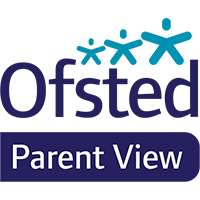 Go to Parent View and add your views, but please, if there is anything you think we are doing wrong then tell us about that first so we have a chance to put it right as we want the best for all of our children and families. Every Local Authority Maintained School must publish specific information to comply with The School Information (England) (Amendment) Regulations 2016. The links below will take you to the relevant parts of our school website so you can readily access the information you require to check our compliance.